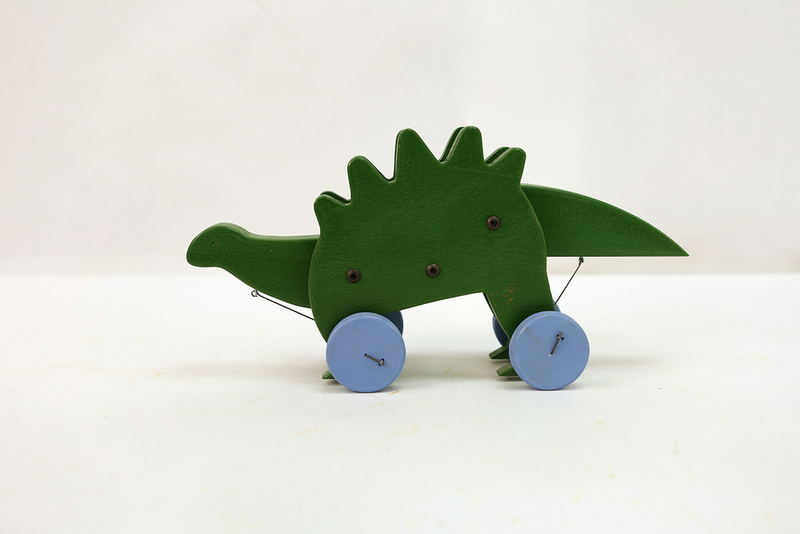 Super mean handmade dinosaur (Apatosaurus) push-toys! Their heads and tails bob up and down as you play with them. Batch of 10 made in collaboration with Max Simon and Molly Rubridge. DINO-GO!